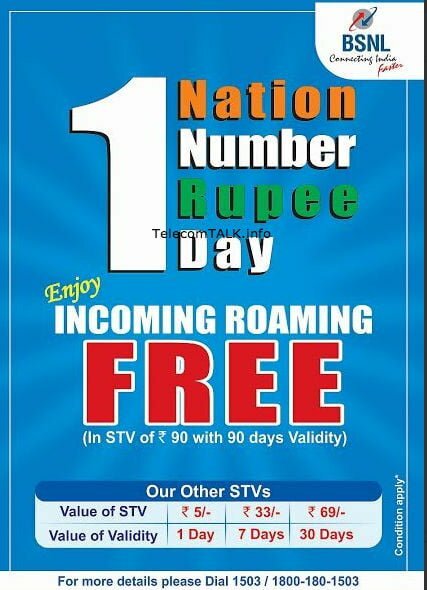 BSNL today announced the launch of ‘One Number, One Nation, One Rupee a Day’ plan through a new roaming Special Tariff Voucher (STV), STV-90 that provides a validity of 90 days. This launch has come just five days after the launch of MTNL’s roam free plan. We had then reported about BSNL introducing free roaming at Rs. 1 per day. When you look into the three existing STVs, it is obvious that STV-90 is the best deal! With this BSNL is set to bring out a revolution. The naming of the campaign is very apt, similar to the famous ONE INDIA CAMPAIGN where landline STD tariffs were brought down to Rs. 1 in the last decade. Do you think this is the start of a revolution in mobile roaming? Are there any better plans from any other operator? Let us know.